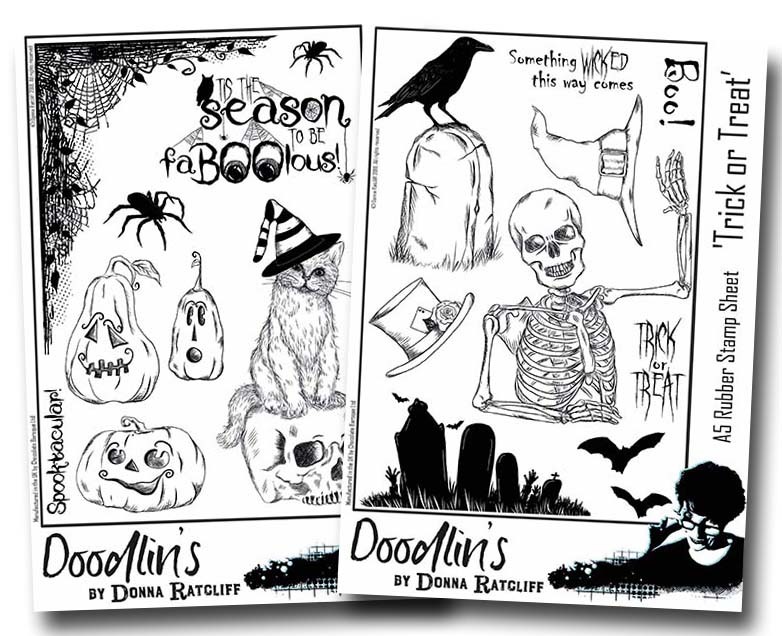 This multi buy contains two A5 rubber stamp set from talented designer Donna Ratcliff. Sppoktacular and Trick or Treat feature a toal of 18 images all themed around Halloween. Whether you are a paper crafter, mixed media artist or fabric crafter these would be a great addition to your stash. Contains 9 images each set.